The “new guy” first time post! 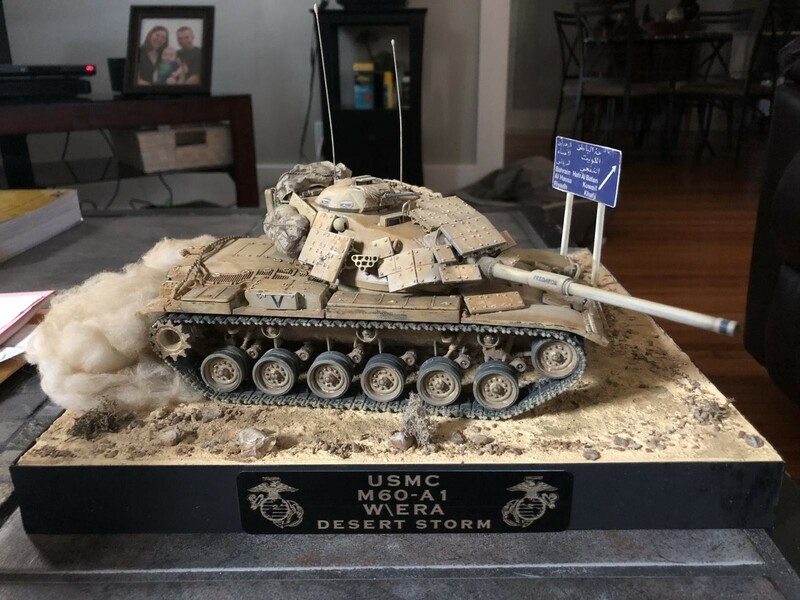 As a former Marine myself I thought I’d pay homage to my Desert Storm brothers with this little dio. This project contained a ton of firsts especially since I’ve only been back in the hobby for about a year now. 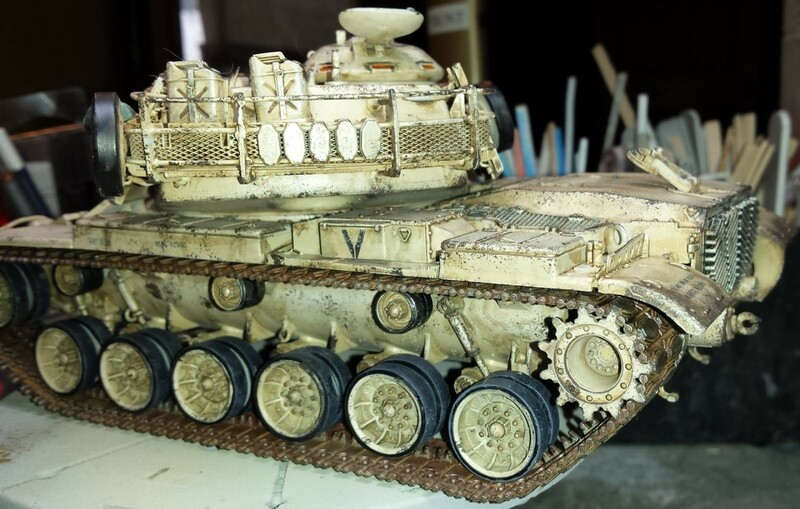 Used pigments for the first time, some AK diorama products for the first time and epoxy putty as well. The jewel of this experience was with the company VMS Vantage Modeling Solutions if you haven’t heard of them you gotta check them out! Great products but it’s the customer service that was simply outstanding! They corresponded with me personally and after talking with them about this project even whipped up a custom chipping color for me, again above and beyond! Finally to close up, I’m excited to be here and let me know what you think! Welcome Travis – you are back with a bang! 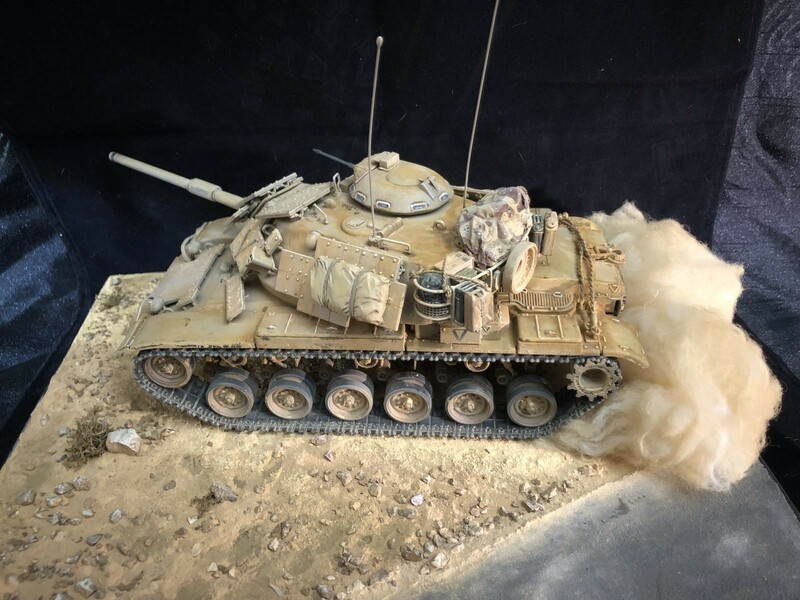 I could never decide whether I was a fan of using synthetic smoke and dust effects – but you have pushed me over the line , that dust cloud forming at the back end of your M60 looks just fantastic! 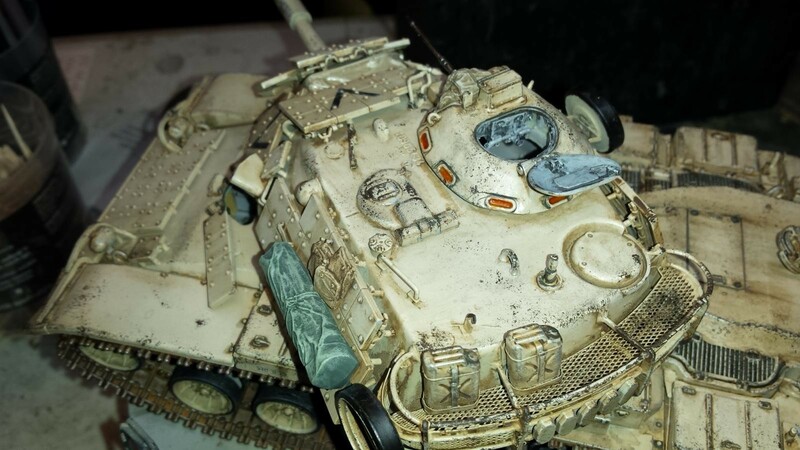 The rest is spot on too – the dio, the weathering – cracking job! It is as good a first post as we are likely to see at iModeler – you are going to love it here – and your work is going to be highly appreciated by our tankers! Paul, thank you so much for your kind words!! Glad I could sway towards something new (synthetic smoke/dust, it was also a first for me!) thanks again for the awesome welcome!!!! Welcome aboard Travis. I’m a former US Army tanker. Your model looks great !!! Hard to believe it has been 27 years now since Desert Shield happened. My old unit was the first on the ground in Saudi Arabia beside the 82nd Airborne. 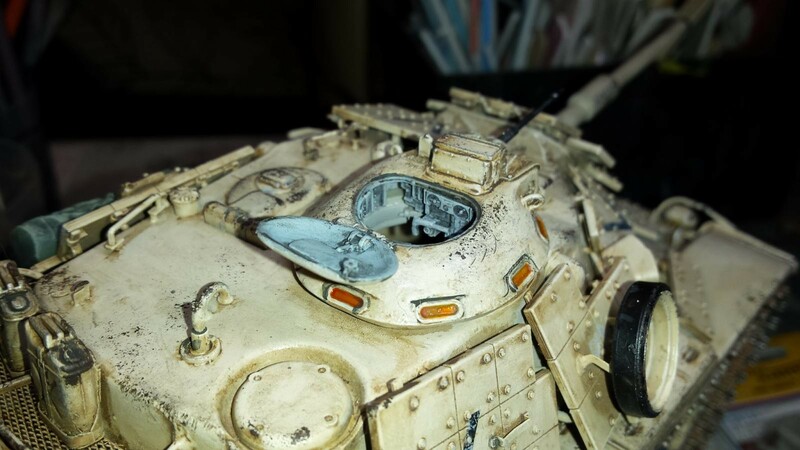 They provided Armor protection for the first units as they were rapidly deployed. I spent most of my time in the older M-60A1’s. Then we swapped over to the new M-1A1’s. Well done and I like it a lot. PS: Here’s a picture of one of my old rides. That’s me in the TC cupola. Louis, thanks man!! That’s an awesome photo by the way! Craig thank you sir! Glad to be aboard!! Simply outstanding job here and as Paul stated, you’ve started with a bang! Well done Marine. Thank you for your services. Semper Fi! Paul, Thank you so much for your kind words!! Glad I could sway you in the direction of the synthetic dust effects (another first for me!) and another thank you for welcoming me aboard!!! James thanks for the compliments glad and excited to be here!! Welcome aboard Travis! I’m not an armor guy so don’t know it all that well, but it looks nicely weathered and detailed to my eye, and a nice dio to set it in. Also a great job on the photography, which is important in a visually oriented venue like iModeler. Just a tip for “communication” with iModeler friends – if you want them to see your response to their comments without them having to think to come back to a prior post, insert their username into your comment like this: @jamesb This is a demo for new guy Travis! (I clicked on Jame’s name above to see what his iModeler username was). The system will then send them an email directly. @gkittinger thanks for the tip sir and the compliment! My next project is actually going to be a 1/32 Hasegawa FW 190 so I’ll be on here asking a ton of questions because I haven’t built a plane since I was 10! 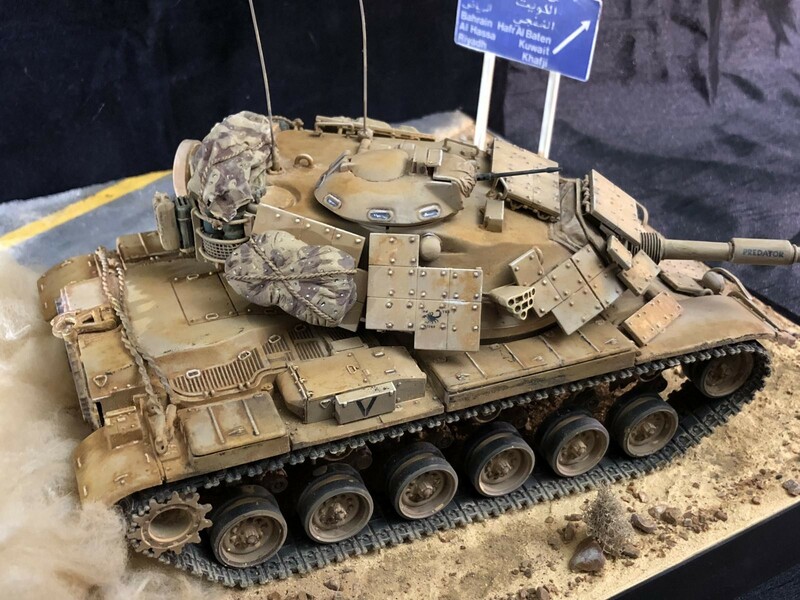 An awesome build! And welcome to the site! @roofrat Thank you sir and it’s good to be here couldn’t ask for a better welcome!! Travis, and let me extend another welcome to imodeler !, A very nice way to start with a gorgeous build. I’m an airplane guy, but good modeling is good modeling, and this is very nice ! Thanks for sharing. I look forward to seeing more from you ! @shoobiz Thank you sir, for the kind words, I’ve told others today but this has been the warmest welcome and I’m glad to be aboard! I’m going to need all the help I can get from everybody’s expertise here. My next project is a 1/32 Hasegawa FW 190 and it’s definitely an older kit plus I haven’t built a plane since I was about 10 yrs old! Well done Marine, I hope you excuse this Navy guy to tell you what great work you did on the M-60 tank. As we kind’ve kept to the air in my unit based out of Al-Jouf Saudi Arabia, while you guy were cleaning up. It’s cool to have a Marine tanker among our Army brothers. Welcome to the site and quite impressive Travis. Can’t wait to see your project on the Fw-190, good choice to start with. I am mostly a an aircraft guy but will throw in an armor piece here and there with a few USMC projects on the list. Thanks for sharing and good to have ya. You should be able to identify the year of mfr by using the model number and/or the box art. Scalemates is a great resource for finding information and after market items matched to a particular model. @jamesbThank you sir, this is fantastic! Travis @Snaps0351, make sure you put either a comma or a space after the tag. It sometimes does’t seem to post a mention or tag if you don’t. Glad you like the link. I find it very useful when looking at something on Ebay, trying to figure if it’s a decent kit. Semper Fidelis Travis! 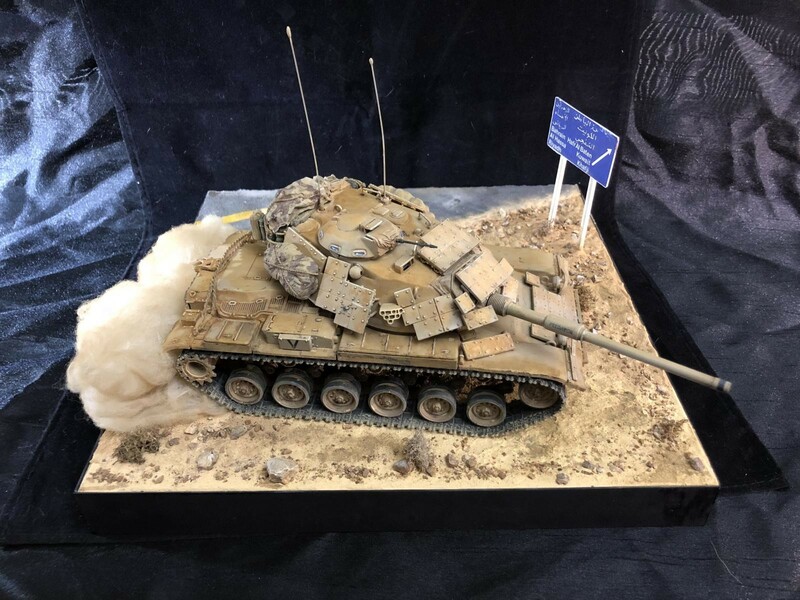 If this is the build quality you achieve after a year back in the hobby, I’m eager to see what will hit us a further year downrange : Very realistic weathering, I like it a lot! This road sign really brings life to the dio, well done! Welcome and really nice 1st article! 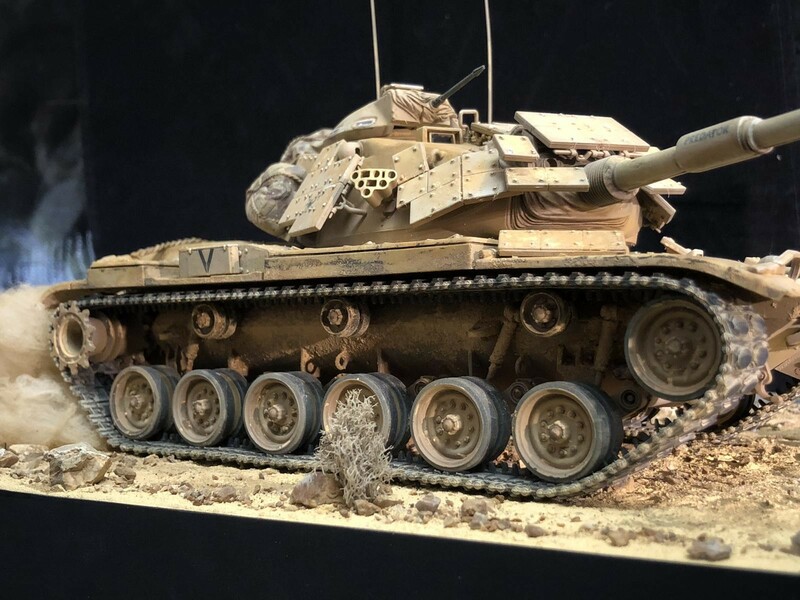 I am assuming this is the Tamiya version of this M60? It looks great. Nice finish with nice presentation. 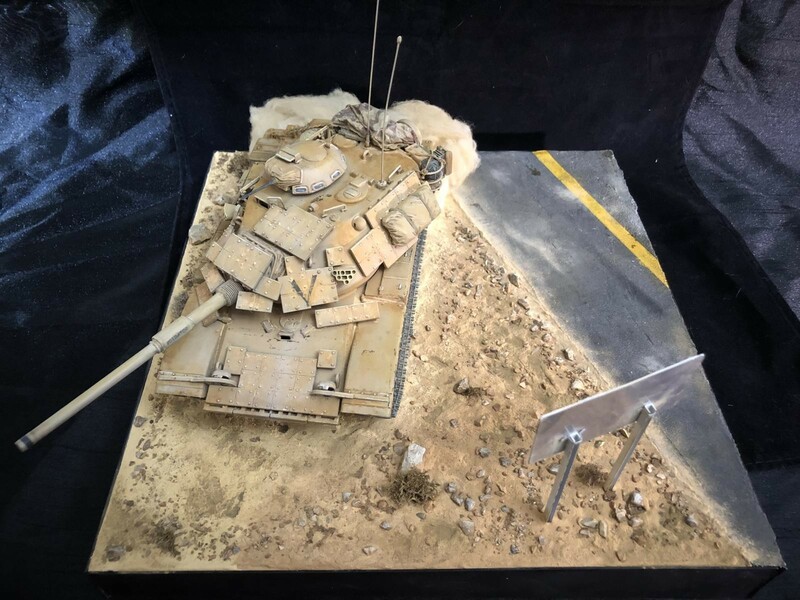 Excellent little diorama. All your effects look great and are right on. This is my favorite tank and favorite version of this tank. 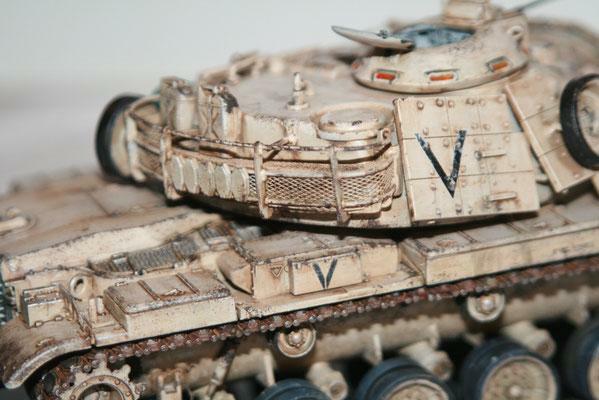 I also made this exact tank and finished in a similar manner. 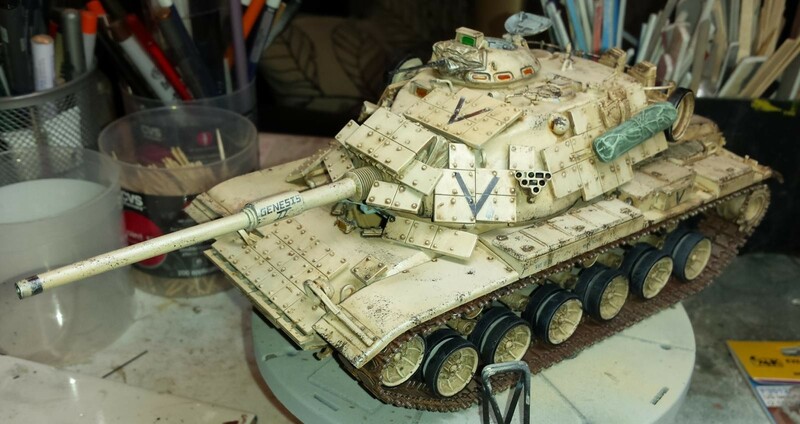 Here is a few shots of my Tamiya M60A1 with armor. 5 attached images. Click to enlarge. @jjetmec First thank you sir!! Second, YES I’ve seen your model on Pinterest!!! I studied it and actually used it as a reference!!!! How awesome is it to actually talk to the man behind the model! Simply brilliant work sir thank you for sharing!! Oh, thats cool! Glad to hear it was helpful. Again great job on your build. @michel-verschuere Thank you sir!! Great to be here, just hope I don’t wear out my welcome picking everyone’s brain tons of great stuff here!!! @david-polak, Thank you sir, to each their own. It was something I never tried and now it’s something for the technique toolbox but thanks again for checking it out and your input!!! @tsweeney, thank you sir! May I ask what colors did you use for your Inchon landing Marines? 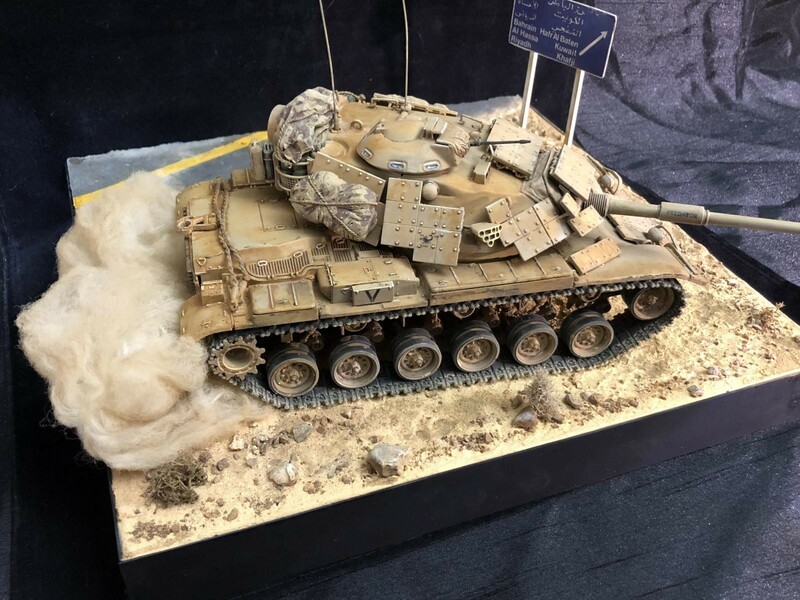 I absolutely agree with your description about not having enough PTO, Vietnam or Korea dioramas. Hopefully, we change the tide a little. Thanks again for checking out my post! Westland UH 14A Lynx, Royal Netherlands Navy 1977.